While walking through the popular Old Bazaar in Skopje you will have the opportunity to observe many monuments and buildings from Islamic and Christian origin. 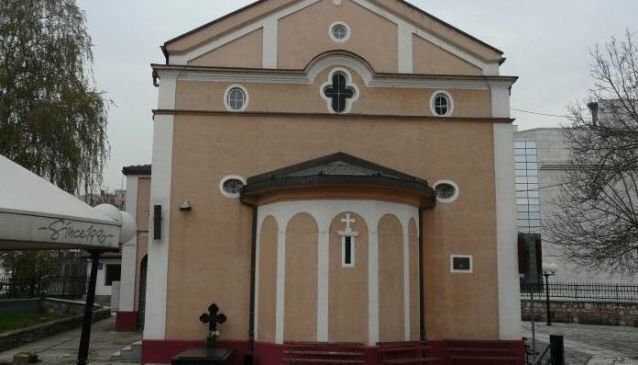 Among them there is the beautiful church of St. Demetrious which is a typical example of the long existence of two different religions in Skopje, Orthodoxy and Islam. This beautiful religious complex was built on the pillars of an old Orthodox church from the 16th century. It was reconstructed several times before it get the beautiful look it has today. The church has a splendid iconostasis which is a real masterpiece of art because it is carved by skilled painter from Veles, also there are beautiful fresco-paintings and icons which make the interior of the church splendid. The Church of St. Demetrious is open every day for all believers and tourists from different parts of the world who besides religion also want to experience the rich tradition and culture of the Macedonian people.